One of the tall hills at the southern end of Nen Hithoel, above the Falls of Rauros, on the lake's western shore. 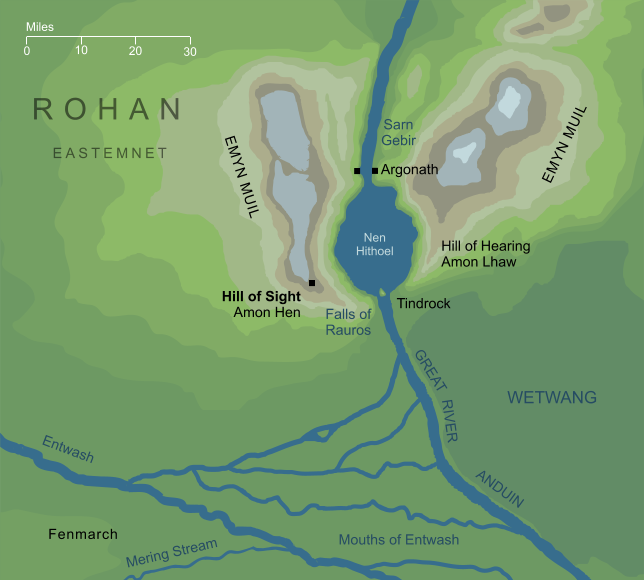 In the early days of Gondor, it lay near that kingdom's northern boundary. The Dúnedain of the South built a high seat on its summit, and a stone stairway leading up the hill to its peak. From that high place they could survey the South-kingdom and the lands that bordered it.